The history of the Virgin Islands would show that the men and women who built this Territory understood the importance of community, culture and faith in facing the challenges encountered throughout the early years of our existence. They worked hard and remained resilient and ultimately created a Virgin Islands that we could all be proud of today. In the spirit of celebrating our past, the decision to focus on Virgin Islands’ centenarians, both living and deceased was made. These men and women, particularly those who are alive, have lived through the many changing scenes within our community. As I have made it known on many occasions, it is important that we give persons their flowers while they can see and smell them. For this reason, our centenarians that are still with us must be recognised. Mr William Rhymer from Soldier’s Hill who is 102 years old and the oldest person in the Territory. Aleatha Fraser from Carrot Bay who is 101 and Alfred Edwards Fahie who resides in St Thomas and Eda Flax from Virgin Gorda who are 100 years. Indeed, we are all happy that you have been able to enjoy such longevity and thank you for the contributions that you have made towards the development of the Virgin Islands over the years. To preserve the stories of these men and women, the Department of Culture is producing a short documentary on the history and experiences of our centenarians that will be released at the end of the month. Continuing on the preservation and celebration of our past, the Department of Culture will stage a cultural maritime exhibition at The Multi-Purpose Sports Complex with select dates on the sister islands throughout the month of November. This exhibit features the voyages of a sailing ship, “The Abram” to our shores and this was made possible through the support of the Lancaster University in the UK. As we look to the future of the Virgin Islands, we seek to inspire conversations and actions by honoring our past experience with an array of culturally focused activities in public schools across the Territory. I am asking, parents, guardians and the wider community to get involved in school activities to help our young people understand appreciate and be proud of the history and culture of our great Territory. As we seek to inspire the future of our islands, we must ensure that our young people, and persons who now call our islands home, know and understand our experience and our story. 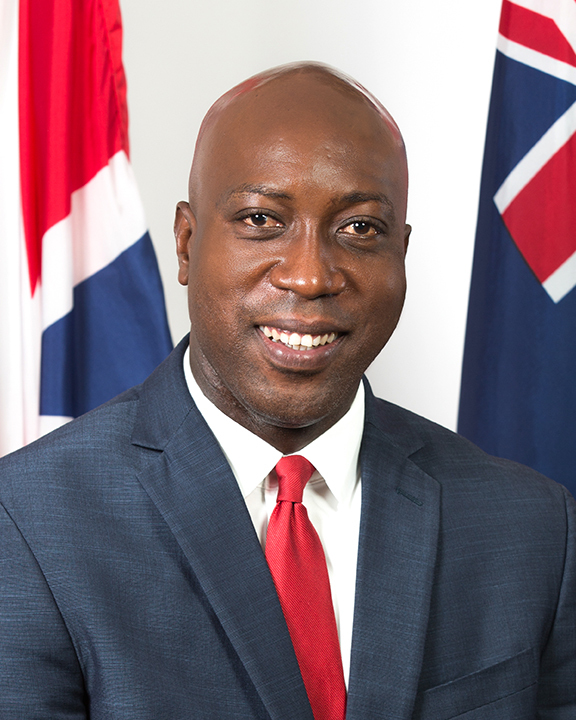 As a community, when we are fortified in our history and culture, it emboldens us to be as creative, tenacious and ingenious as previous generations of Virgin Islanders to see paths out of the valleys of our present circumstances towards the mountain tops of a future Virgin Islands of our making. The wearing of our Virgin Islands’ Territorial Wear continues to be an important part of the week and this has not changed. The day selected for this event is Friday 16th November. On this day we will also be treated to many local delicacies at the much anticipated cultural food fair, which will be staged at the Central Administration Complex. I am asking both public and private sector businesses to get involved and support these initiatives and to also plan activities within their own organisations to celebrate the week. It is no secret that our Territory is made up of persons of many different nationalities. In fact, one year ago it was confirmed that persons from as many as 115 nationalities called these Virgin Islands home. While it may be easy for these nationals to want to showcase items from their homeland, and we appreciate this, but the focus and attire during Virgin Islands Culture Week is all about Virgin Islands’ culture and traditions. I take this time to urge the Associations from various countries to see this as an opportunity to get involved to learn more about our Territory and let us all come together for a stronger Virgin Islands. It was our first Chief Minister the Late Honourable H. L. Stoutt, who instructed his Cultural Officer, Mrs. Eileene L. Parsons, to promote Virgin Islands culture to ensure that it was brought to the forefront in what was then a budding community. Since that time, the Virgin Islands has grown in leaps and bounds. We acknowledge over 20 plus years of this cultural celebration and look forward in anticipation to many more years of highlighting who we are as Virgin Islanders. Happy Culture and Heritage Week, Virgin Islands! May God bless you all.